My house smells soooooo good right now! 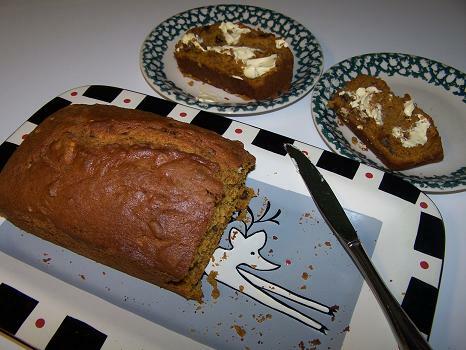 Love that pumpkin bread! Oh, I love Pumpkin Bread! Wish it was smellsvision. That looks good!! And cute tray too!! That does look good Randi. I just had a bowl of Taco Soup so I would have to pass on it right now but I sure could eat some later. looks yummy randi! i’ll trade you 1 fudge dipped marshmallow for a slice of pumpkin bread! Oh man! I want some too! Share the recipe?